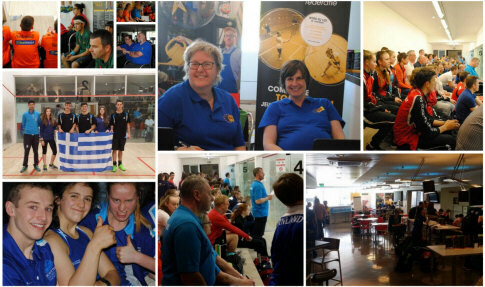 Top seeds England won through to both finals in Hasselt, and will face unexpected opposition in both. 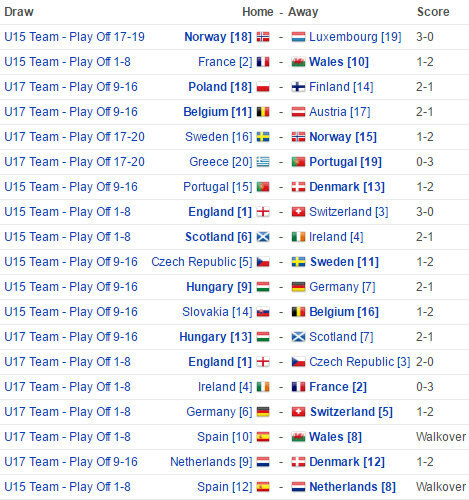 In the U15 playoffs Wales couldn't repeat their heroics in beating second seeds France in the Pools as the lost to Netherlands who in turn lost to Switzerland in the semis. 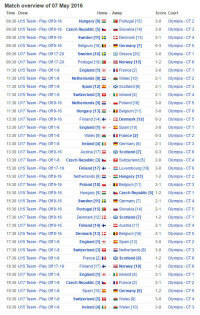 Meanwhile England cruised into the final with 3-0 wins over France and Spain. 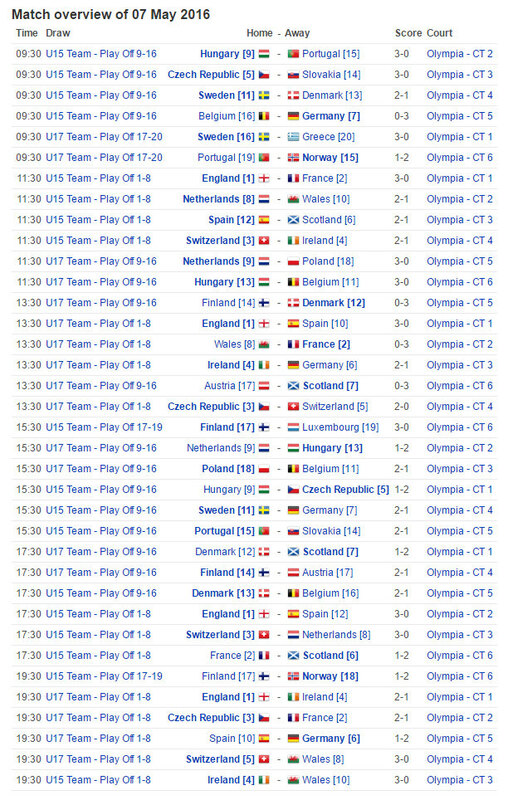 In the U17 draw England were tested in their semi-final, beating Ireland 2-1, while second seeds FRance fell 2-1 to the Czech Republic. Day TWO saw the end of the pool stages, and while all the top seeds made it through to the quarter-finals, the U17 Welsh girls followed up their opening day win over second seeds France to top the group to give themselves a favourable draw while the French face top seeds England. 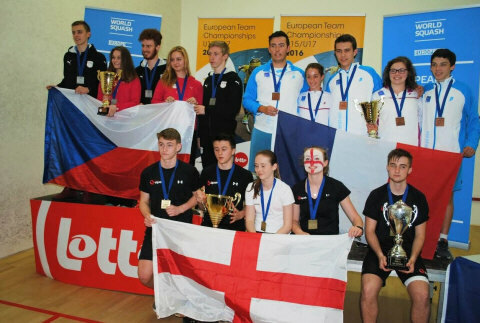 The annual European U15/U17 team event heads for Belgium this year, with England favourites to retain both titles and France seeded two in both draws. 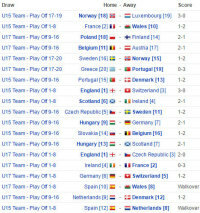 After the pool stages the top two teams in each group progress to the quarter-finals.